Oldenzaal is a vibrant town of approximately 31.000 inhabitants, situated in the beutiful Twente countryside close to the Dutch-German border. 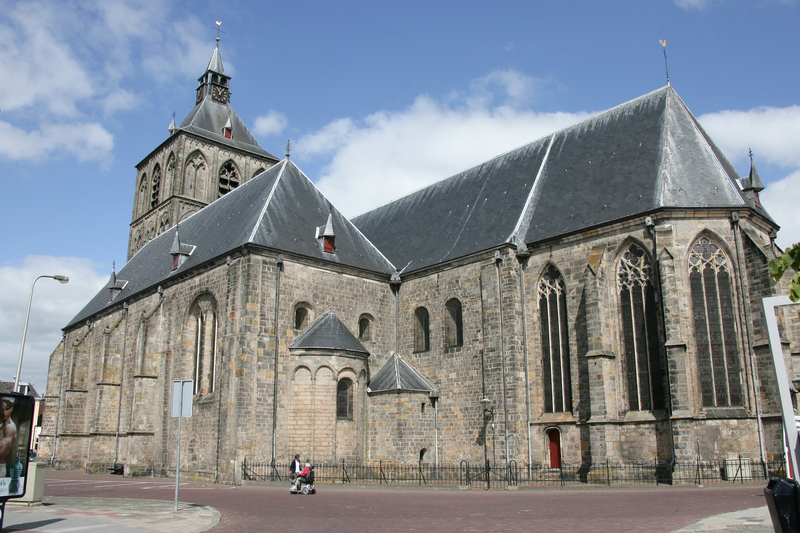 Oldenzaal has an exellent urban infrastructure, a thriving economy and a wide range of leisure facilities. The town’s privileged geographical position on the A1 motorway and its easy accessibility make it a popular choice of loaction for both Dutch and foreign companies. 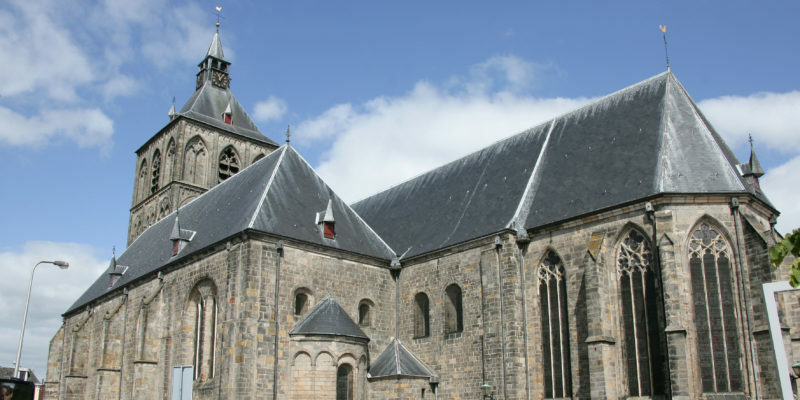 Oldenzaal has a long and illustrious history, with the first mention of the town recorded in an old monastery document dating from circa 839 A.D. The fact that it already had the right to hold a market in 1049 A.D. and received its town charter in 1249 A.D. shows the importance it had achieved in those early times, although its prominence declined over later centuries. However, a walk through the town centre still offers an apportunity to discover a number of splendid traces of its rich past, such as the historic Marktstraat with its Palthe-Huis museum. 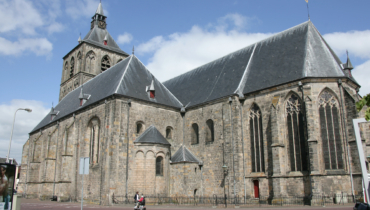 The Plechelm Basilica, with its stately tower, is easily visible from afar as you approach Oldenzaal from every direction. Known locally as “Oal’n Griezen” (Olde Grey One”) because of the colour of its stone, the basilica has acted as a beacon to travellers in the area for many centuries. Its construction was begun in 954 A.D. by Bishop Balderik, who dedicated it to Saint Plechelm, and today it houses several interesting and valuable works of art. A climb up to the top of the “Lood’n Bönneke” tower is also well worthwhile, since especially on a clear day it offers superb views over the surrounding area extending well beyond teh German border. 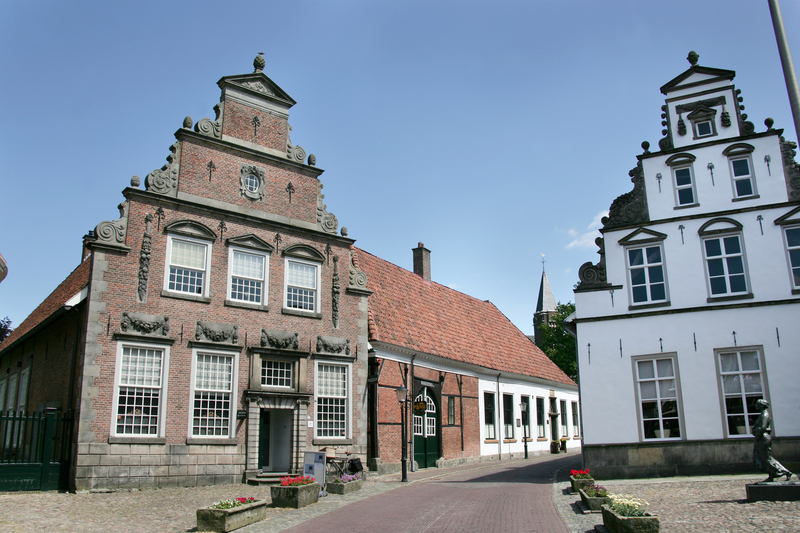 Oldenzaal was member of the old Hanseatic League. Hanseatic towns are usually situated close to water, but Oldenzaal does not conform to this criterion. However, documents found in the Lübeck city archive show that Oldenzaal played a part within the Hanseatic League’s trading activities during mediaeval times. Nowadays, Oldenzaal participates in the International Hanseatic Day events held each year in Hanseatic towns around Europe. In 1999 Oldenzaal has organised the Hanseatic Days. 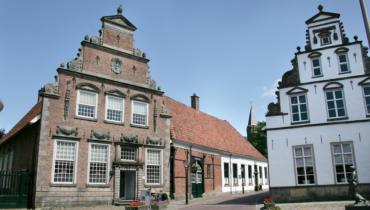 Oldenzaal has charted a new economic course in recent years, leaving behind its former glories as a textile centre and its function as a border town, and launching into the development of new industrial activities. Many enterprising businessmen and women have seized this opportunity to develop their activities here. The excellent connections offered by the A1 are very important to Oldenzaal’s economy, greatly enhancing its powers of attraction as a choice of location to business from extremely broad range of sectors. Along the A1 motorway now and in the near future industrial areas are developed. The “Hanzepoort” business centre is situated near the A1 motorway, providing a base for a number of dynamic companies, most of which specialise in transport, distribution and business services. With its convenient situation on the Dutch-German border, Oldenzaal is the logical gateway in the corridor between the conurbation of western Holland, northern and eastern Holland and Germnay. The town enjoys excellent road and rail connections. Oldenzaal is a vibrant town offering a particularly pleasant living environment, in which great importance is attached to a healthy balance between living, working and leisure. Because the town acts as a regional focus of medical and nursing facilities for patients from the surrounding villages, its urban infrastructure is well developed to provide high-quality health care, education and public transport. Oldenzaal’s residential areas are spacious and feature plentiful green areas. The town tries to maintain a harmonious balance between its past heritage and modern facilities, resulting in an attractive and varied living environment. Oldenzaal has a wide selection of retail stores. The compact centre offers a plentiful choice of easily accessible shops, in which you are always sure of a friendly welcome. Whether you enjoy “open air” shopping or the modern, covered “In den Vijfhoek” and “de Driehoek” shopping malls, an abundance of browsing opportunities awaits you. On the edge of the town there is a very large home furnishing mall. Shopping in Oldenzaal is always a pleasant experience. The town has adopted the slogan “Oldenzaal, the smiling face of Twente” to express its character. The Oldenzalers are also reputed for their Burgundian streak of exuberance. Perhaps it is no wonder, therefore, that Oldenzaal has the largest carnival festivities north of the region bounded by the Rhine-Waal-Maas rivers. A large proportion of the town’s population takes part in its effervescent five days of carnival celebrations, which include an annual parade that regularly attracts over a hundred thousand visitors. Visitors to Oldenzaal will rapidly become familiar with our town’s mascot, the “boeskoolmenneke” or little white cabbage lad. In days gone by, the town was renowned for the “boeskool” or white cabbage grown and sold in the markets of neighbouring towns by many of the local inhabitants, and this earned Oldenzalers the nickname of “boeskool”. The figure of the little white cabbage lad was adopted by the town. Oldenzaal has a well-deserved reputation as “Stedke van Plezeer” (fun-loving little town) due to the numerous lively events it organises throughout the year, some of which have gained national renown. The “Culinaire Hanzemarkt”, de “Boeskool is löss”, “Oldenzaal Muzikaal” and “Twente Ballooning” are just a small selection of the town’s wide range of events and attractions. Should you feel like escaping from urban pressures, don’t forget to visit the Hulsbeek recreation park. This delightfully green and pleasant park, situated just outside Oldenzaal, offers numerous facilities for rest and recreation.